Home to a seasonally influenced menu, Osteria Basillico’s friendly service and buzzy atmosphere, successfully lends itself to a typical rustic Italian Osteria. 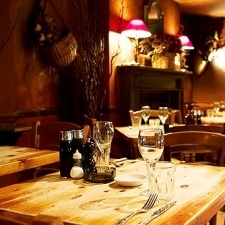 The restaurant, established in the early 1990’s continues to prove extremely popular with local residents. Oozing with old-fashioned charm and serving traditional Italian dishes, Babbo is the daddy. You can't book ahead but there's a reason why people are prepared to queue.